We would like to thank David Chu for help with these removal instructions. 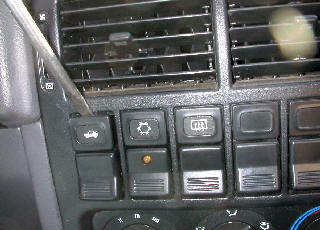 1) Gently pry switch from dash. 1) Repeat above steps for control on right side. 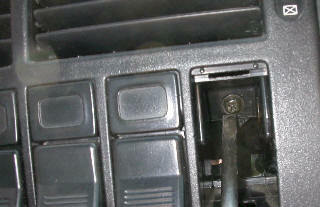 2) Remove ash tray and two exposed screws. 3) Remove dash trim panel and stereo. 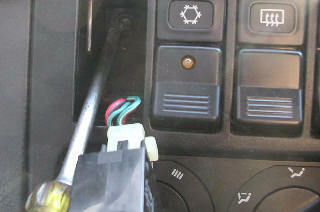 Factory Car Stereo Repair, Inc.